A record number of ‘baby boomers’ now own a second home, with around one in six 55 to 64-year olds buying up second properties, according to the Institute for Fiscal Studies[i]. One destination that continues to attract second home buyers and families looking to escape the city, is the highly desirable area of the Cotswolds. Boasting country charm and traditional honey-coloured stone exteriors, Spitfire Bespoke Homes’ development Highworth, in the popular village of Broadway, Worcestershire, is the ideal choice for buyers seeking a charming country bolthole. Located in one of the Cotswolds’ most beautiful villages, Highworth comprises an elegant collection of two to five-bedroom properties, designed to suit a range of buyer’s needs. Of the 74 homes, there are a variety of over 60 unique house types, establishing a mature and eclectic street scene. Thoughtfully designed to complement their rural setting, all homes incorporate classic architectural detailing with authentic exterior facades and are interspersed with open green spaces and feature squares, creating a strong sense of community. The first three phases of the development have sold extremely well, with just one home currently available to buy off-plan. The final phase at Highworth is due to be released this Autumn. All homes boast a first-class specification, unique to Spitfire. Hand-painted solid oak kitchens feature quartz worktops, glass splashbacks and Siemens integrated appliances. Bathrooms are fitted with contemporary white sanitary ware by Villeroy and Boch, with high-quality polished chrome fittings by Hansgrohe. Henbury House is a unique five-bedroom home. 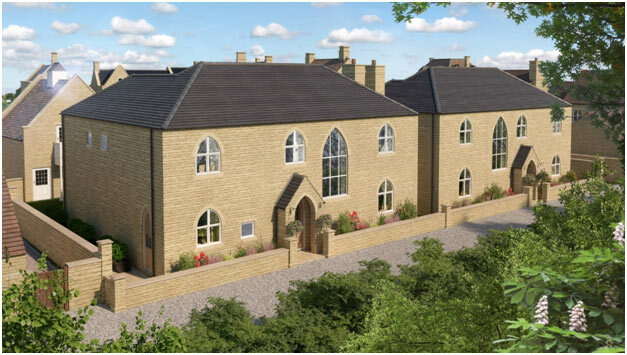 Large arched feature windows, ensure the house is flooded with natural light. A large open plan kitchen, breakfast and family room extends the length of the house and is complete with a breakfast bar, utility room and two sets of French doors. There is a generous separate living room with a traditional wood burning stove fireplace, as well as a study downstairs. On the first floor, the spacious master bedroom features fitted wardrobes and a four-piece en-suite. The family bathroom and a further four bedrooms are located on this floor, two with an en-suite bathroom. Perfect for families, there is also a room located above the detached double garage with access via an external stairway, providing the ideal space for a teenage hangout or home office. Often referred to as the ‘Show Village of England’, Broadway boasts one of the longest high streets in England, which offers a wide variety of boutiques and independent shops and a good choice of traditional country pubs, tea houses and cafes. Highworth also benefits from superb views across open fields towards Willersley Hill and Fish Hill, topped by the historic Broadway Tower, the Cotswolds’ tallest castle designed by Capability Brown. Regular train services operate from the nearby Honeybourne and Moreton-in-Marsh stations, which are both just a 15-minute drive from Highworth, transporting passengers into London’s Paddington Station in under two hours. Offering excellent road connections, the M42 and M5 are all easily accessible. Birmingham airport is located just under an hour’s drive away, ideal for those wanting to lock-up-and leave. 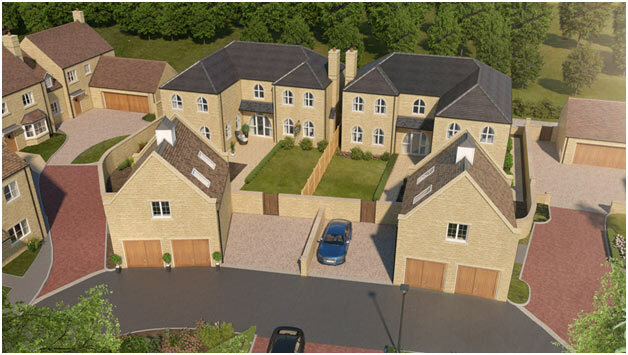 Henbury House is currently available from £950,000. For further information, visit www.spitfirepg.co.uk or contact the selling agents Hayman-Joyce on 01386 858 510 or Knight Frank on 01789 206967.